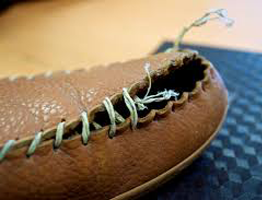 Whether stitches pop, you tear or cut the leather, things come unglued, or elastic simply wears out, we’ve got your back (or feet). Your shoes take a lot of heat, and minor wear-and-tear issues are going to pop up. We will handle these nuisance repairs quickly, without interrupting your busy life. Pricing is $19.99 and up.